Meet the Inventor of Mural Mosaics! Home / Blog / Meet the Inventor of Mural Mosaics! If you ever wondered who was behind the concept of mural mosaic and how it started, here’s a story that will quench your curiosity. The first mural mosaic was created in 1997 when artist Lewis Lavoie had the genius idea to paint hundreds of paintings and assemble them to make up the face of Michelangelo’s David. The unique work of art was placed on a retaining wall next to an art gallery in St. Albert, Alberta, Canada, hence launching the mural mosaic movement. Seven years later, Lewis took his achievement an extra mile when he called upon 70 different artists to join hands during a 24-hour live painting marathon in order to create the first community mural mosaic. Each artist could paint whatever he wants within the theme set for the project. 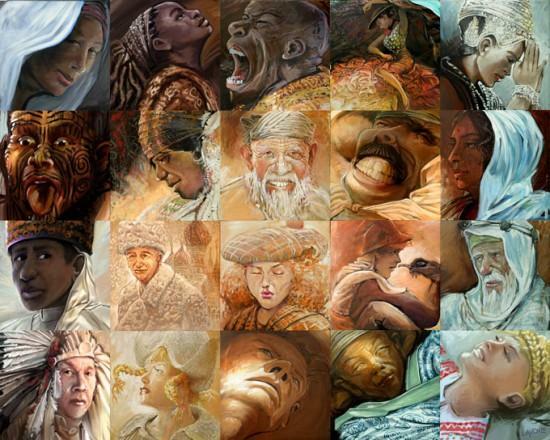 The hundreds of artworks added up to form an exceptional image that reflected unique creativity. 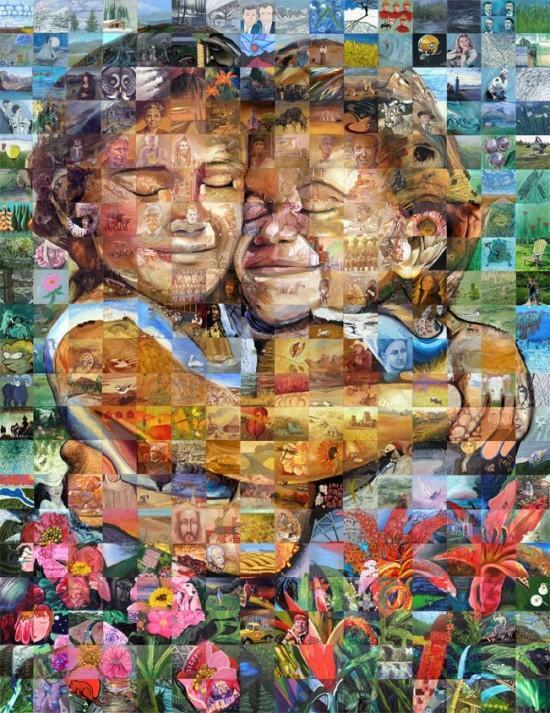 Is it worth mentioning that Lewis Lavoie was commissioned to create a mural for the 2010 Olympic games in Vancouver, after having designed such murals for the Edmonton Centennial, the Alberta Centennial, The Wildlife Ark, and hundreds of live paintings for several organizations. Lavoie was also commissioned to paint for the Queen when she visited in 2005. In August of this year Lewis was invited to perform at the Olympics in London, England.